Phoenix Sky Harbor nears top of the list for "Best Airports for Business Travelers"
When you're traveling for business, flying to different parts of the world, every minute counts. 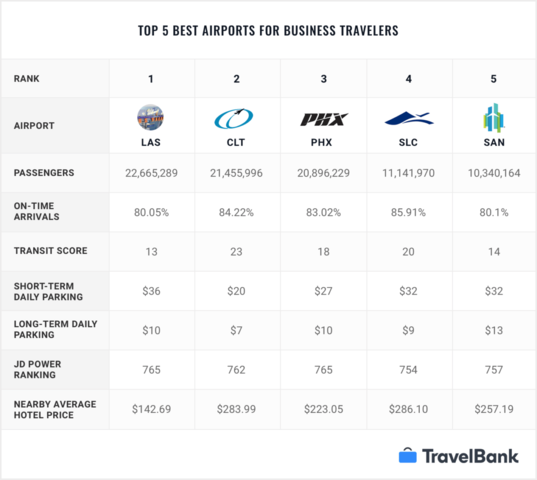 Travelbank.com has released the best and worst airports for business travel, and Phoenix Sky Harbor International airport is ranked third in the country. According to the website, Phoenix is in the top three for "transit and also scored a high J.D. Power ranking of 765, the same as Las Vegas. Another American Airlines hub like Charlotte, Sky Harbor also had a high on-time arrival performance of just over 83%." The top airport for business is Las Vegas McCarran International airport. The airport you'll probably want to avoid for business travel is New York Laguardia - as it comes in last placed. You can check out their full list of the good, the bad, and the rest at travelbank.com .